We offer a fast response for blocked drains in London, plus drain repairs, drain replacements & drain clearance for domestic homes & commercial businesses. If you have a blocked drain in London, J Snow Drainage London are the local company to call. As an emergency drainage company in London, naturally our engineers are expert at clearing blocked drains fast. We offer 24 hours a day drain services 7 days a week. So call us anytime of the day or night and J Snow Drainage London guarantee a 1-2 hour response for all emergency drain repairs including blocked toilets & sinks. We understand that you never know when your drainage system will need to be unblocked, so we offer this service continually 365 days of the year. 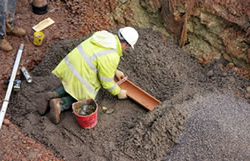 As one of the best drainage companies in London we provide a very comprehensive service. We clear blocked toilets and sinks, drain clearance, drain repairs, drainage maintenance, drain lining, drain replacements, gutter cleaning and CCTV drain surveys. No matter what your emergency is, J Snow Drainage London is here to help. Jamie was very professional and well mannered. Thanks J Snow Drainage London for excellent drain unblocking and keeping an honest transaction! There is no other drainage service that I would call next time to clear my blocked drains. Their efficiency in drainage services is highly recommendable! I will surely get them for future business with any drain installation and maintenance. Great job! Engineer came in a matter of minutes and solved the problem without breaking the bank, Thanks again. To the J Snow Drainage London Team, THANKS A LOT! Your service was just so prompt yet so efficient. I was expecting a quick emergency drainage response of an hour, but you came in just a couple of minutes! Thanks again Jamie. I have had really bad experiences with other drainage companies that billed me above what we agreed on due to call-out charges and hidden costs for quotation requests. At J Snow Drainage London they used great drainage equipment without extra charge! I will surely recommend them for all drain installation, drain unblocking, and drain maintenance in London residences and businesses. I would like to simply say Wonderful Job! My friend called you and a few minutes one of your engineers turned up right in front of our house in your drainage operations van. The drainage equipment – CCTV drain survey and the water jetters – just did the trick; we haven’t had a problem since. Great service, J Snow Drainage London! Need a leaking or blocked drain repaired promptly and properly ? Customer service is our main priority, J Snow Drainage London understand that any kind of leak or blockage can rapidly become a large scale problem and that you need your drains cleared or repaired as quickly and efficiently as possible. So we aim to have your blocked drain in working order quickly, leaving you with a clear system that runs smoothly and efficiently. We have the knowledge, tools, expertise & experience to deal with any drainage issues, from pipe damage to hair blockages and everything in-between. This is why we should be your number one choice for any blocked drain clearance. External drains can be blocked by leaves, damage caused by tree roots and many other factors including broken pipes. Internal drains such as you find in kitchens, toilets and bathrooms, are often blocked by a build up of hair, wipes, tissues, paper towers, limescale & even soap debris. There are steps you can take to prevent your system becoming blocked, but once it’s happened it can often be difficult to fix yourself, which is why you need a professional drainage company. We strive to have all your drains repaired, cleared, replaced and unblocked in the fastest time frame possible with a minimum of fuss and disruption. 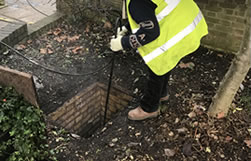 To clear blocked drains we primarily use a technique that involves high-pressure water jetting as it’s usually the most effective treatment method available. 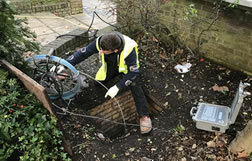 We also use CCTV drain surveying as the cameras allow our engineers to pinpoint the exact location of the blockage or leak which helps us to diagnose the problem without causing any further damage to the pipes. We use the most advanced drainage technology available to us, to save you both time and money that may be wasted on unnecessary drain replacements. 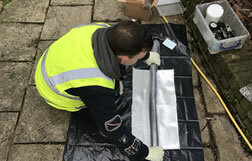 We’re are also professional – if our drain engineers believe that your system is unfixable then we will provide you with the best honest impartial advice. Using high-pressure water jetting we can clear blocked main drains, toilets, bath plug holes and even sewers, as well as a variety of other drainage systems throughout London. It’s the most effective treatment method we can use. We also utilise CCTV drain surveys to allow our drain engineers to determine the exact location of the problem, without causing any further damage to the pipes. We believe in doing everything possible to repair your current drainage system, by using the most advanced technology available. This allows us to save you time and money otherwise spent on unnecessary drain replacements. 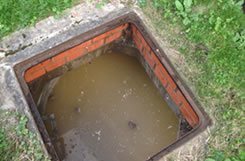 However if we believe that your drains are unfixable then we can provide you with impartial advice on the best course of action. We offer you value for money, we aim to beat other drainage companies by providing you with an effective service at affordable prices. J Snow Drainage London offer unbeatable rates providing much better value than the majority of our other competitors. Drain blockages are cleared and guaranteed. Both internal and external W.C. soil pipe work. Cast iron and PVC rainwater down pipes. Kitchen sinks and basins, as well as baths and showers. Waste disposal units, macerators and grease traps. Both domestic and commercial drain clearance. 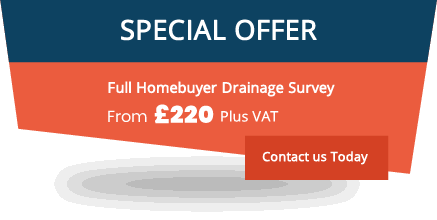 We have always sought to offer an affordable drains service. We understand that drainage issues aren’t something that are usually planned for within most budgets. We also offer a special 10% discount for senior members of the community, as well as clients with disabilities. We understand that you don’t just want a ‘quick fix’ to your drainage worries, so all of our work comes with a guarantee that lasts a decade. We also have full public liability insurance of up to £5 million. All of this is to offer you, as our customer, the peace of mind that we provide the very best drain services. Contact us today to discuss your requirements and receive a no obligation quotation. Short on time? Just enter your details below and we’ll get back to you. Are you a customer? Click here to leave a review.